There seems to be some backlash going on against the religion of “Agile Software Development” and it is best summarized by PragDave, reminding us that the “Agile Manifesto” first places “Individuals and interactions over processes and tools” — there are now a lot of Agile Processes and Tools which you can buy in to . . . Sounds like sensible advice. I think I’ll print that out and tape it on my display to help me keep focused. As time passes, the ticket gets crankier at you in real time about the SLA. The first thing helps people get their work done, and the second is manager catnip. There was a presentation on JIRA’s REST API, and mention of Webhooks. Another feature for tight integration is Webhooks: you can configure JIRA so that certain issue actions trigger a hit to a remote URL. This is generally intended for building apps around JIRA. We might use this to implement Nagios ACKs. The Ad Hoc Canvas plugin for Confluence caught my eye. At first glance, it is like Trello, or Kanban, where you fill out little cards and drag them around to track things. But it has options to organize the information in different ways depending on the task at hand: wherever you are using a spreadsheet to track knowledge or work, Ad Hoc Canvas might be a much better solution. Just look at the videos and you get an idea . . . The presenter’s narrative was driven by an initial need to capture executive buy-in that their JIRA system was critical to business function and needed adequate resourcing. 1) For doing date and time calculations, specifically to determine locale offset from UTC, you’re a lot happier calling the Java SimpleDateFormat stuff than you are dealing with Python. Python is a beautiful language but I burned a lot of time in an earlier version of this code figuring out how to convert between different time objects for manipulation and whatnot. This is not what you would expect from an intuitive, weakly-typed language, and it is interesting to find that the more obtuse, strongly-typed language handles time zones and it just fricking works. We have a team in London. I have not yet tested it but as I understand it, once they leave BST, their timezone is UTC. I am looking forward to seeing if this understanding is correct. As I understand it, I’m pulling the current time zone of the user, which changes when we enter and leave DST, which means that the local time will be dodgy when we send an announcement before the cutover for a time after the cut-over. 2) I was sending meeting invitations with the host set to the assignee of the maintenance event. This seemed reasonable to me, but when Mac Outlook saw that the host was set, it would not offer to add the event to the host’s calendar. After all, all meeting invitations come from Microsoft Outlook, right?! If I am the host it must already be on my calendar!! I tried just not setting the host. This worked fine except now people would RSVP to the event and they would get an error stuck in their outboxes. So . . . set the host to a bogus email address? My boss was like “just change the code to send two different invitations” which sounds easy enough for him but I know how creaky and fun to debug is my code. I came upon a better solution: I set the host address to user+calendar@domain.com. This way, Outlook is naive enough to believe the email address doesn’t match, but all our software which handles mail delivery knows the old ways of address extension . . . I can send one invitation, and have that much less messy code to maintain. You can get an idea of what fun it is to build iCalendar invitations, yes? The thing with the parentheses concatenation on the CN line is to follow our organization’s convention of rendering email addresses as “user@organization.com (Full Name)”. 3) Okay, third anecdote. You see in my first code fragment that I’m building up text objects for HTML and plaintext. I feed them into templates and craft a beautiful mime multipart/alternative with HTML and nicely-formatted plaintext . . . however, if there’s a Calendar invite also attached then Microsoft Exchange blows all that away, mangles the HTML to RTF and back again to HTML, and then renders its own text version of the RTF. My effort to make a pretty text email for the users gets chewed up and spat out, and my HTML gets mangled up, too. (And, yes, I work with SysAdmins so some users actually do look at the plain text . . .) I hate you, Microsoft Exchange! I’m building out a simple template system for our email notifications, so of course I want to support multipart, text and email. But, hey, we have some text fields in JIRA that can take wiki markup, and JIRA will format that on display. So, how do I handle those fields in my text and HTML message attachments? Now users can add refresh=nn and the page will reload every nn seconds. This ought to work in most cases where you can sneak some HTML into a Web App. Function gup stolen from http://stackoverflow.com/questions/979975/how-to-get-the-value-from-url-parameter. The Cascading Select Custom Field type in JIRA is a bear. The first trick is learning to set the “null” value and then the “1” child value. The next trick is building out a ModifiedValue object to hold your change. Then you get to jump down the rabbit hole of finding the correct Option values for the custom field, and setting them with the tricks just mentioned. The logging stuff is useful for debugging, if you have that set up, else just remove those bits. It took a few hours to figure this hook out, so I’m including my hard-won lines of code here. # Check if PARENT is resolved. # automatically create Incident children. Building on a previous post to validate user time tracking, a few “cookbook” scripts that may be handy to you or me in the future. Somewhat elaborate: enforce that time worked has been logged, except under certain circumstances. See original post. # Duplicate Issue? It is as good as logged! description = "Please log the time you spent on this ticket." import com.atlassian.jira.issue.worklog.Worklog from com.atlassian.jira import ComponentManager # Time Already Logged timespent = issue.getTimeSpent() # Time Logged via current screen try: timelogged = dict(issue.getModifiedFields())['worklog'] except: timelogged = False # Duplicate Issue? It is as good as logged! resolution = issue.getResolution() if resolution['name'] == "Duplicate": timelogged = True if resolution['name'] == "Self Corrected": timelogged = True # Nagios likes to close tickets, but doesn't get paid user = ComponentManager.getInstance().getJiraAuthenticationContext().getUser() if user.getName() == "nagios": timelogged = True if timespent < = 0 and timelogged == False: result = False description = "Please log the time you spent on this ticket." 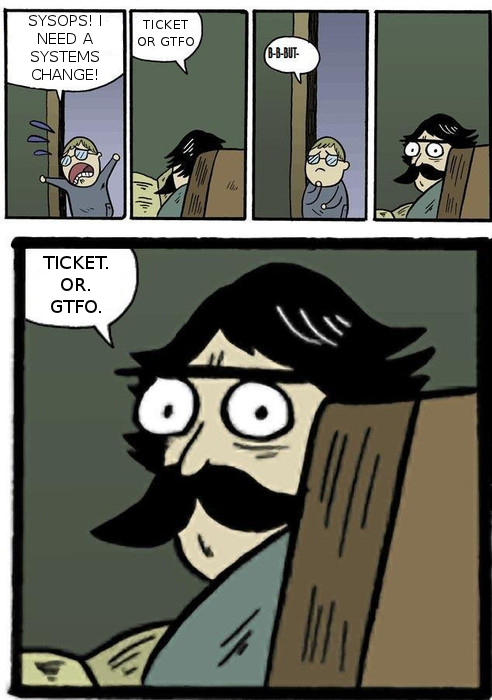 This helps make sure tickets get assigned. We have a particular custom field which can be set UNKNOWN by the Reporter, but which should be cleaned up by the Assignee. description = "Please set CUSTOM_FIELD value appropriately." from com.atlassian.jira import ComponentManager cfm = ComponentManager.getInstance().getCustomFieldManager() product = issue.getCustomFieldValue(cfm.getCustomFieldObject('customfield_12345')) if product == 'UNKNOWN': result = False description = "Please set CUSTOM_FIELD value appropriately." Where file.txt is a file you want to clean up. Why this comes up is because we have a web application that was set up to hit a MySQL database, which is incorrectly configured to store text as ASCII instead of UTF-8. The application assumes that all text is Unicode and that the database is correctly configured, and every week or two someone asks me why they are getting this weird gnarly error. Typically they are pasting in some weird UTF-8 whitespace character sent to us from Ukraine. Eventually the database will be reloaded as UTF-8 and the problem will be solved. Until then, I can tell folks to use the Perl command above. It just looks for anything with the high bit set and strips it out. sum(resolutiondate < date_add(created, interval x day)) / count(pkey) as "SLA %%"
The query does some things that are newer to my limited understanding of SQL. For me the magic bits are sum()ed columns and the availability of quarter() … you can do monthly reports just as easily with month(). I’d love to concatenate Year-Month into a string like “2012-05” but for the purposes of making my boss a little happier queries like this are good to have in the locker. Some day I’ll be hip enough to convert things like this into JIRA widgets. Oh yeah, and if your SLAs are measured in “business hours” or “business days” this will give you only a crude understanding of how well you have met your SLAs … an accurate measure would probably get embedded in a handler that gets called on issue close which can evaluate SLA fulfillment per issue priority and the local work schedule. # -*- coding: UTF-8 -*- import com.atlassian.jira.issue.worklog.Worklog from com.atlassian.jira import ComponentManager # Time Already Logged timespent = issue.getTimeSpent() # Time Logged via current screen try: timelogged = dict(issue.getModifiedFields())['worklog'] except: timelogged = False # Duplicate Issue? It is as good as logged! resolution = issue.getResolution() if resolution['name'] == "Duplicate": timelogged = True if resolution['name'] == "Self Corrected": timelogged = True # Nagios likes to close tickets, but doesn't get paid user = ComponentManager.getInstance().getJiraAuthenticationContext().getUser() if user.getName() == "nagios": timelogged = True if timespent < = 0 and timelogged == False: result = False description = "Please log the time you spent on this ticket." 2012-01-24 Update: the script now contains additional logic, which exempts the nagios user from enforcement and allows resolution of duplicated or self-correcting issues which may not require time tracking. Hopefully this example is useful to somebody. 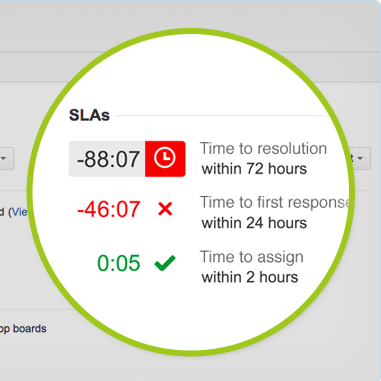 JIRA is an issue tracking system that is really flexible, but sometimes presents irritatingly arbitrary limitations. I have been working on a screen which uses multiple tabs. The tabs are there to make it easier for the user to find the fields they want to edit, without scrolling through a single long, complex issue. But every tab has a Comment field rendered on it, which makes things confusing, and makes each tab look like it needs scrolling. So, just remove the Comment field from the Screen, right? No, it isn’t in there. So, can I remove Comment via the Field Configuration Scheme? No, it is mandatory. Damn your arbitrary limitation, JIRA! PS: Thanks for the Guidance, Ed Burns! I do not know the provenance of the source material, and can make no claims of intellectual property rights here. TinEye finds 550 similar images.